Take the cream of the Secret Garden Party crop, the original eclectic UK summer festival, add a heaping dose of speakers and intriguing content, and voila – The Wilderness Festival, the boutique happening set to launch this August in Cornbury, Oxfordshire. With a dedication to arts and the outdoors, there is a decidedly quirky, folky and artsy element to the event, and with an expected turnout of 10,000 people, it’s an easily digestible weekend without mega crowds and mega queues for the loos. WOW Talks will be offering its brand of far out and fascinating speakers, asking the important questions, and getting The Wilderness folk to ponder mind-opening matters. It is proud to be part of this pioneering group of art and nature lovers who will certainly be making history this year. You can tell a lot about a festival’s spirit based on who is headlining. Take Glastonbury, for example. The iconic festival that used to get revved up with the likes of David Bowie and Peter Gabriel, this year is promoting pop sensation Beyonce on the main stage. 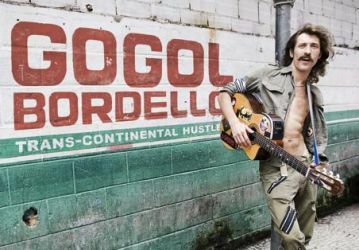 Far from the commercial sounds of ‘All the Single Ladies’, The Wilderness has billed New York punk gypsy band Gogol Bordello. I doubt we’ll be seeing them on the BBC One morning show anytime soon … but that’s exactly what this festival is communicating: creativity at the most exciting fringes of culture, and cult sensations that target a thinking musical audience. Beyond the music, expect a lot of odd and wonderful happenings designed to get festivalgoes in and out of character, whatever that character may be. On Saturday, the Last Tuesday Society is presenting a midnight masked ball, featuring storytellers, ballroom dancing, puppet theatre, processional bands and a seance for good measure. The Secret Garden Party organisers are hosting a late night concept party called Where the Wild Things Are, sure to be psychedelic and magical. They will transform a woodland area into a theatrical landscape. We suggest to all to read the famous children’s book or see Spike Jonz’s film of the same title to properly get in the mood. The Wilderness is capitalising on the trend for glamping, and is set to feature a luxe outdoor spa where one can hot tub under the stars with a glass of champagne. It looks like wellness just grew up and got a makeover. No longer just massage and macrobiotics, the festival has gone eco-posh. Now, that’s what we call roughing it in style.